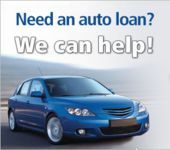 Utah’s best used.com offers Utah’s best selection of quality pre-owned vehicles on an easy to use web-site. Simple search functions, clean graphics and zero clutter is what separates utahsbestused.com from other automotive websites. Utahsbestused.com gives the consumer a no-nonsense approach with straight forward pricing, up to date photo galleries and comprehensive vehicle descriptions. Utahsbestused.com launched in 2008 and connects serious buyers with the best inventory available on the Internet in the Utah region.